* NORTH KOREA (RLPB 458) ahead of the US-NK Summit held in Singapore, 12 June. UPDATE: For all intents and purposes, the historic US-NK Summit was a success. The only people to be disappointed were those with pre-existing biases or unrealistic expectations. Since the summit, North Korea has agreed to return the remains of more than 250 American servicemen who died behind enemy lines during the Korean War (1950-53). Furthermore, North and South Korea have commenced talks on: closer co-operation in the area of sport, resuming family reunions, re-opening the Kaesong Industrial Park, restoring a cross-border military hotline, relocating North Korea's long-range artillery systems away from the border, and connecting the railways across the border. Meanwhile, Russian officials have visited Pyongyang and South Korea's President Moon Jae-in has met with Vladimir Putin in Moscow. The ultimate goal -- which would be transformative -- is to integrate North Korea into the wider north-east Asia framework. Pray that the issue of political prisoners (including many thousands of Christians) will soon be on the agenda and for wisdom about how the release of political prisoners will be handled, for stability is integral to the process of openness. There can be no doubt that Kim Jong-un has made a significant 'strategic policy shift'. Please continue to pray. * PRISONERS AND CAPTIVES (RLPB 459), whose suffering is compounded by isolation. 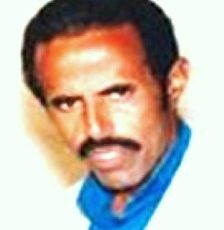 ERITREA: Thank God for the unexpected and inexplicable release of Pastor Oqbamichel ('Oqba') Haiminot of the Kale Hiwot (Word of Life) Church in Asmara, Eritrea. This father of three had spent time in prison in 2003 and again in 2005 during which time he was severely mistreated for refusing to recant his faith. 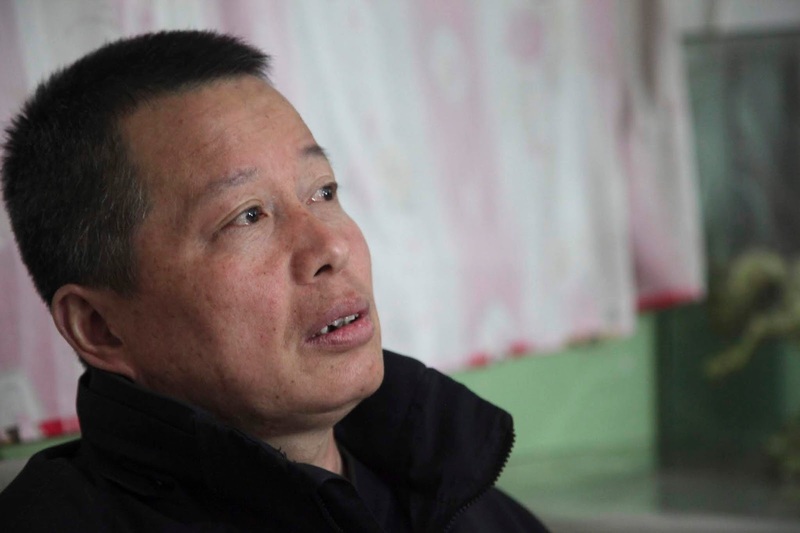 The mistreatment -- which included 10 months in solitary confinement and hard labour in a military camp -- was so severe that he suffered a breakdown and had to be released. Pastor Haiminot was arrested again in October 2007 and imprisoned without charge. After eleven years in an Eritrean prison, Pastor Haiminot is in need of medical care. Please pray for the Haiminot family, that the Lord will sustain and protect them and provide their every need. IRAN: On 18 June Ramiel Bet Tamraz (an ethnic Assyrian Iranian Christian) [RLPB 373 (30 Aug 2016)], and another believer (a convert) faced Branch 26 of the Revolutionary Court in Tehran on charges pertaining to national security. Ramiel's father, Pastor Victor Bet Tamraz, is currently appealing a ten-year prison sentence while his mother, Shamiram Isavi Khabizeh, is appealing a five-year prison sentence, both on similar charges. That a powerful state would persecute a peaceful, faithful family in this way is truly shocking. Ramiel is awaiting the judge's verdict, due any day now. * TURKEY (RLPB 460), as the nation headed into a pivotal general election. THE PARLIAMENT: Erdogan's Justice and Development Party (AKP) failed to secure a majority in the parliament (polling only 42.5 percent). However, the ultra-nationalist, extreme-right Nationalist Action Party (MHP) secured 11.1 percent, meaning the AKP-MHP coalition will control over half the seats, and the AKP will be dependent on the MHP to get legislation through parliament, giving the MHP enormous undue influence. THE PRESIDENCY: Erdogan has claimed victory in the presidential poll, reportedly securing 52.5 percent of the vote. He will govern under a new constitution which grants the president sweeping executive powers [RLPB 401 (5 April 2017)]. Israeli commentator Zvi Bar'el writes: 'With Erdogan's re-election, Turkey faces a future as a purely autocratic state, persecuting political rivals and settling scores ... [Erdogan] will now begin to build the new Turkish Republic in his own image.' Indeed; this is a horrifying scenario. How Erdogan will weather the economic storm now visible on the horizon is anyone's guess. Please pray for Turkey, her Church, and her ethnic minorities. BACKGROUND: Eritrea is one of the world's most dangerous places for Christians. It has existed in a virtual state of war with Ethiopia since 2002, as Ethiopia has continued to occupy disputed territory in violation of the Eritrea-Ethiopia Boundary Commission's ruling. Whilst it is true that powerful people on both sides of the border profit from the status quo, nobody profits as much as Eritrean President Isaias Afwerki. He has long used the pretext of the Ethiopian threat to legitimise his suspension of the constitution and his cruel, despotic, totalitarian rule. On 5 June Ethiopia's new president, Dr Abiy Amhed Ali (41) -- a Protestant Christian convert from Islam who was sworn into office on 2 April -- offered to accept the Eritrea-Ethiopia Boundary Commission's ruling of 2002 to end the war with Eritrea and pave the way for rapprochement. 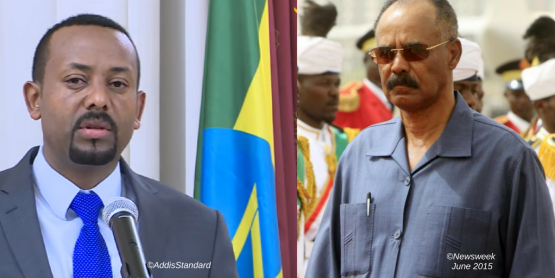 Taken by surprise, Eritrean's President Isaias Afwerki is cautious, acutely aware that peace with Ethiopia would de-legitimise his dictatorship. Analysts believe peace could totally transform both Ethiopia and Eritrea and the strategic trajectory of the Horn of Africa. As with the Korean Peninsula, 'cosmic powers' (Ephesians 6:12) will fight against this peace. For the sake of the long-suffering, severely persecuted Eritrean Church, please pray! by Elizabeth Kendal, Religious Liberty Monitoring, 26 June 2018. Violence exploded across Barikin Ladi Local Government Area (LGA), Plateau State, on Saturday 23 June. As is all too common now, nomadic Fulani herdsmen (Muslims) had led their cattle to graze on the crops of settled ethnic Berom farmers (Christians). Besieged and abandoned, the Berom farmers had two choices: surrender their crops or defend themselves. Clashes ensued in which five Fulani herdsmen were killed. The Fulani retaliated by launching a massive pogrom against eleven villages across Barikin Ladi LGA as well as some villages in Bokkos and Riyom. So far, more than 200 bodies have been found, although many more local people are still missing. Hundreds more were wounded and dozens of homes were torched and farms ravaged. The next day, furious Berom youths set up barricades on the Jos-Abuja highway and attacked motorists who looked Fulani or Muslim. While no deaths have been reported, one eyewitness claimed to have seen six bodies on the road. Berom families are furious over military moves to restrict access to the affected areas, thereby preventing families from collecting their dead. Many suspect the military of wanting to conduct a secret mass burial to cover up the extent of the massacre and the complicity of soldiers. The killings are part of a campaign of ethnic cleansing pursuant to Islamic expansion. 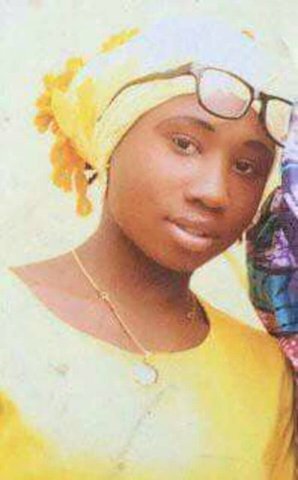 Whilst the killings are perpetrated mainly by Fulani herdsmen, they are orchestrated and supported by powerful Muslim elements in the mosques, the security services and the government. 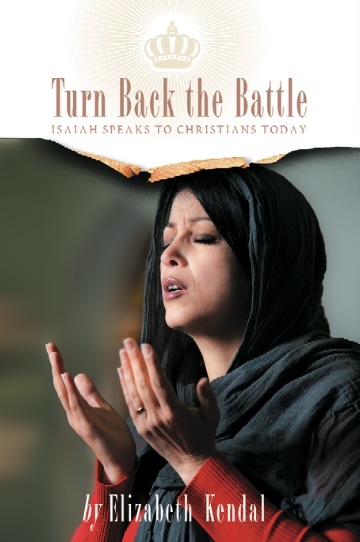 It is a Christian crisis of monumental proportions. Please pray. 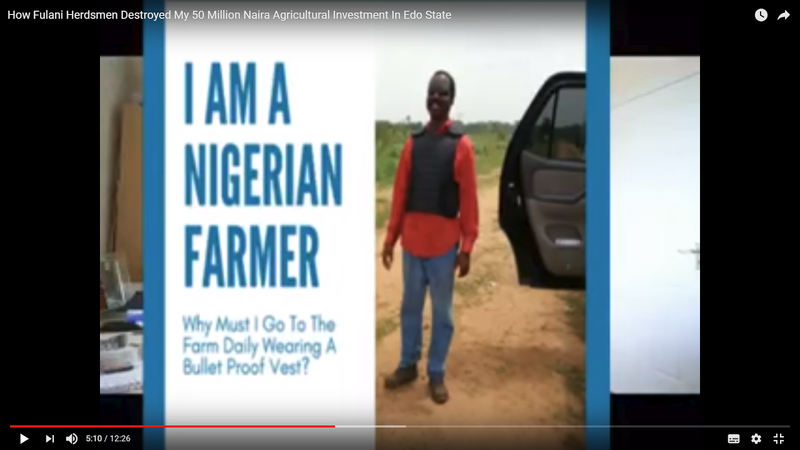 to Edo State governor, Godwin Obaseke, and appeals for action. "We beg you. Help to uplift those that are down." NOTE: Edo is not even Middle Belt; it is deep south. 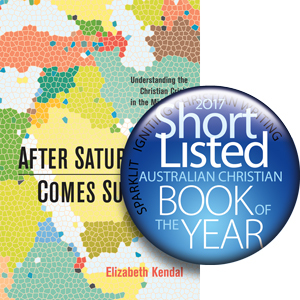 The Christian crisis might be worst in the Middle Belt, but it is not confined to the Middle Belt. On Sunday 24 June Turkish citizens at home and abroad will vote to elect both a president and a parliament. Originally scheduled for 3 November 2019, rumour has it that the polls were brought forward so voting could take place before the looming economic crisis takes hold. Concerning the parliamentary elections: Erdogan's Justice and Development Party (AKP) has entered an alliance with the Islamo-fascist, far-right Nationalist Movement Party (MHP); together they expect to win a majority. Furthermore, with MHP support, Erdogan is confident he will win the presidential race in the first round. That said, a look at the opinion polls reveals a very tight race. Indeed, on 13 June neither Erdogan nor the AKP-MHP coalition had a majority. Erdogan aspires to be a great Islamic leader, reminiscent of an Ottoman Sultan or Caliph. For Erdogan and his supporters, losing power is unthinkable. It is already being mooted that if Erdogan wins the presidency (as is anticipated) but the AKP-MHP fails to secure a majority in parliament, then Erdogan may simply demand fresh parliamentary polls. One academic recently stated on air that if Erdogan or the AKP loses power, then Turks will 'take to the streets in the name of Allah', adding that he had a weapons cache buried in Istanbul's Belgrad Forest ready for such a time. Criticised for threatening civil war, the academic backed down, saying the only thing he actually had buried in the forest was his ‘anger’ [over the July 2016 coup attempt]. His back-flip has done nothing to ease people's fears that an Erdogan or AKP loss would be countered with violence. Whilst Sultan Erdogan might dream of breaching the 'Gates of Vienna' and leading a jihad or an anti-Christian Islamic intifada in Europe, the Christians most vulnerable to Islamo-Turkish retaliation are in reality those at hand: i.e. Turkey's own Christians. In recent years government-sponsored anti-Christian and anti-ethnic- religious minority hate speech has escalated to extreme levels. It is not only pervasive in the media, but also in the school curriculum. Turkey is a tinderbox! Its Christians are exceedingly vulnerable! Unfinished business ever looms. Consequently, we must remain vigilant and ever prayerful. * sustain, preserve and richly bless his precious Church in Turkey comprising (among others) remnant Greeks, Armenians and Assyrians as well as convert Kurds and Turks; may the Church grow in unity, faith and grace to be a light that overcomes darkness and a voice of hope that counters despair. 'I will build my church, and the gates of hell shall not prevail against it' (Promise of Jesus, Matthew 16:18 ESV). * intervene in Turkey to produce awakening and effect change beyond anything we could ever imagine (Ephesians 3:20-21). May every evil scheme of the devil and wicked plot of 'man' be foiled; and may the Lord our God preserve and strengthen those who would 'turn back the battle at the gate' (from Isaiah 28:5-6). On Sunday 24 June Turkish citizens at home and abroad will vote to elect a president and a parliament. There is every sign that these elections will bring neither stability to the nation nor security to Turkey's persecuted ethnic-religious minorities. In recent years, government-sanctioned anti-Christian and anti-ethnic-religious minority hate speech has soared to extreme levels. Erdogan has even referred to Turkish Armenians as 'terrorist separatists', thereby resurrecting the anti-Armenian, anti-Christian propaganda that fuelled the Armenian Genocide of 1915. A week ago he ominously warned that Austria shutting foreign-funded hardline mosques in Vienna could trigger a war between 'cross and crescent' for which Austria's Chancellor Kruz would (supposedly) be responsible. Turkey is a tinderbox. Its Christians are exceedingly vulnerable. Unfinished business ever looms. Consequently, we must remain vigilant and ever prayerful. appeals for attention to her plight. RLPB 436 (13 Dec 2017). Prisons in the West are dangerous places because they are full of violent criminals. Fortunately, apart from the occasional miscarriage of justice or irregular abuse of power, citizens are not usually incarcerated for their beliefs or peaceful activity. Meanwhile, in prisons all across the non-Western world Christian prisoners of conscience are threatened, not merely by criminals, but by unsanitary conditions, infectious diseases, untreated illness and extreme mistreatment -- including torture -- at the hands of the authorities. These human rights abuses are enabled by a worldview that diminishes and even negates the Christian's value both as a citizen and as a human being. While thousands of Christians are prisoners of the state, thousands more are 'captives' held by non-state actors -- mainly jihadists. Some captives are girls abducted as slaves and brides. Others are missionaries who were following the model of Jesus, selflessly serving others far from home when they were captured. In such cases the captive's life only has value as long as their bodies can be exploited or the prospect of ransom remains alive. Compounding the hardship and physical suffering is the crushing heartbreak of separation from family and friends; many have no Christian fellowship and are denied access to the Bible. How vulnerable must these believers be (especially young, new believers) to the devil's fiery darts as he seeks to crush their spirit with doubts about God's presence, faithfulness, goodness and love. Nothing but the shield of faith will do (Ephesians 6:16) ... and this is where we come in. Christian prisoners and captives might grow exhausted and confused, but we will be there, fighting for them. Serious concerns for his life. If a montage of images of today's Christian prisoners and captives were to be assembled, it would form a snapshot of our increasingly global Church. It would be evidence not merely of persecution, but of faith; expressing both the reality of Matthew 10 and John 15:18 - 16:4, and the promise of Genesis 12:3b and Habakkuk 2:14. For today’s prisoners and captives comprise men and women, young and old, Pakistani, Chinese, Indonesian, Nigerian, American, Indian, Colombian, European, Central Asian, Australian, Vietnamese, Iranian, Eritrean, Laotian, Burkinabe, North Korean and more. They are high profile human rights lawyers like Gao Zhisheng (China), humble labourers like Asia Bibi (Pakistan), students like Leah Sharibu (15, a captive of Boko Haram, Nigeria) and foreign nationals like Rev. Andrew Brunson (an American pastor imprisoned in Turkey), Sister Gloria Cecilia Narvaez (a Colombian missionary nun taken captive in Mali) and Dr Ken Elliot (an 83 year-old Australian missionary doctor taken captive in Burkina Faso). There are far too many to name; but praise God, he knows and loves each one and in faithfulness, never ever leaves them (Matthew 28:20). and serving in Niger (r). 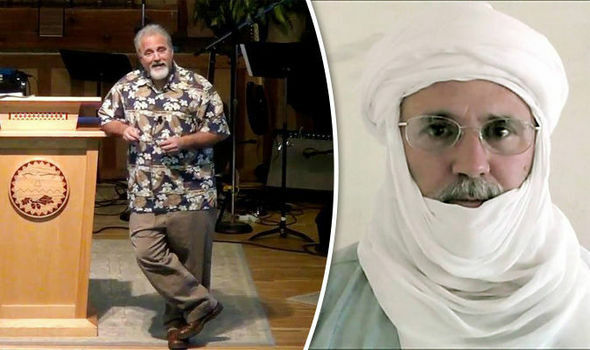 We thank God for the confirmation on 4 June that Jeff Woodke -- an American missionary taken captive in Niger -- is alive and being held captive in the Malian desert. We thank God for the 7 June release into exile of Vietnamese human rights lawyer Nguyen van Dai. We lament with believers whose appeals have been rejected, including Pastor Youcef Nadarkhani (Iran) who returns to prison after his 10-year sentence was upheld on 2 May; and Pastor Nguyen Trung Ton (Vietnam) whose 12-year sentence was upheld on 4 June. We lament over the catechist Mathieu Sawadogo, and his wife Alizeta. Jihadists abducted the couple from their home in Soum Province, northern Burkina Faso, at 4 a.m. on 20 May; presumably they have been taken into the Malian desert. * the God of justice and righteousness will intervene to deliver justice for his people. 'But let justice roll down like waters, and righteousness like an ever-flowing stream.' (Amos 5:24 ESV). * our Lord Jesus Christ will subvert all evil and redeem all suffering so that ultimately all things will 'work together for good' (Romans 8:28) and to the glory of his holy name. 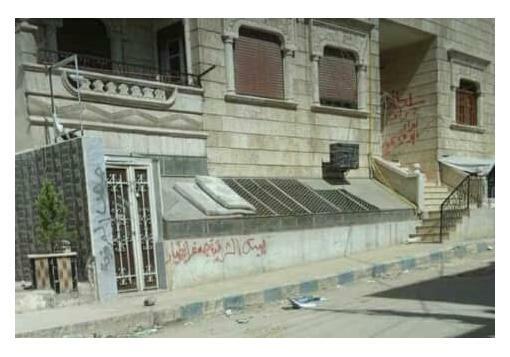 Thousands of Christians are in prison for their faith, while others are held captive by jihadists. Men and women, who are Pakistani, Chinese, Indonesian, American, Indian, Nigeria, Colombian, European, Central Asian, Australian, Vietnamese, Iranian, Eritrean, Laotian, Burkinabe, North Korean and more. They include human rights lawyers like Gao Zhisheng (China), humble labourers like Asia Bibi (Pakistan) and foreign nationals like Andrew Brunson (an American pastor imprisoned in Turkey), Sister Gloria Narvaez (a Colombian missionary taken captive in Mali) and Dr Ken Elliot (an Australian missionary doctor taken captive in Burkina Faso). Christian prisoners and captives suffer physically, emotionally and spiritually, and are often exhausted and confused. Imagine yourself in their shoes -- and pray! 'Remember those who are in prison, as though in prison with them ...' (Hebrews 13:3 ESV). Doubtless motivated by the huge success of the 27 April Inter-Korea Summit, Kim Jong-un, in a goodwill gesture aimed at easing tensions before the US-NK Summit, released three American citizens incarcerated in North Korea. Kim Dong-chul, Tony Kim and Kim Hak-song flew home with US Secretary of State Mike Pompeo on 9 May. But no sooner had one source of tension been removed, than US First National Security Adviser John Bolton stoked another by suggesting that Libya could serve as a model for NK's denuclearisation [see NOTE below]. Though President Trump refuted the comment, even publicly asserting that regime-change was not on the agenda, tensions exploded. Belligerent rhetoric filled the air; the talks were off! Then, on 1 June, after weeks of intensive diplomatic activity, President Trump announced that the talks were back on. If all goes according to plan, then US President Donald Trump and North Korean leader Kim Jong-un will meet in Singapore on Tuesday 12 June to take the first of many steps on what we hope will be the road to a brighter future. The US's stated goal is complete, verifiable and irreversible denuclearisation (CVID); this is a big step. In reality, the most likely outcome would be a series of smaller steps or interim accords with more modest achievements, such as a freeze on missile tests and a suspension of missile production in exchange for an easing of sanctions [see RLPB 446 North Korea: A Step in the Right Direction (14 March 2018)]. Similarly, 'reunification' (as in a borderless Korean Peninsula) is also a very big step. In reality, 'reunification' will involve a series of smaller steps of rapprochement involving diplomacy, trade and tourism, with openness carefully managed (possibly for decades) as NK's economy takes shape and catches up with the South’s. Ultimately, prospects are good for, with peace, NK could 'become plugged into one of the globe's most dynamic economic regions'. Also, ignore all the conspiracy-theory-laden Russophobia; for Russia could and surely will play a hugely important and valuable role in the opening up and development of North Korea [see RLPB 446 (14 March 2018)]. 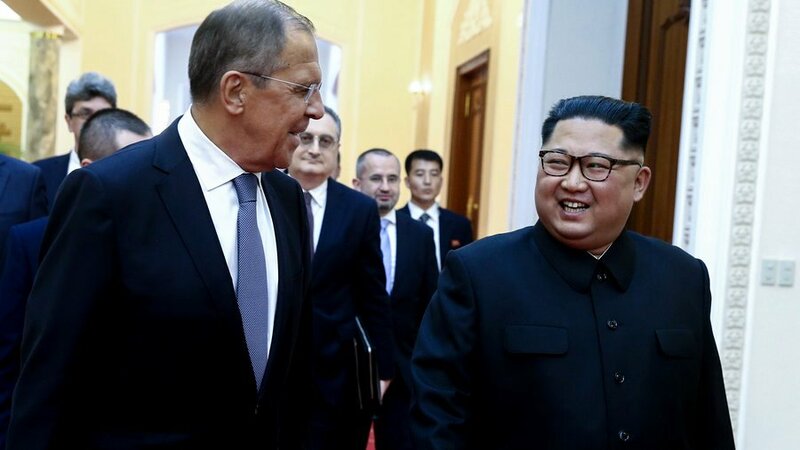 People opposed to this path of peace -- both in the KPA and the US government -- will doubtless seek to undermine and even derail what is, in the words of Russian Foreign Minister, Sergey Lavrov, 'an important but fragile process'. The greatest opponent is sure to be Satan himself, for he knows full well that East Asia is not merely 'one of the globe's most dynamic economic regions', but one of the globe's most spiritually dynamic, mission-focused regions as well. Peace on the Korean Peninsula is about far more than geopolitics. Be assured; 'principalities and powers' (see Ephesians 6:12) are committed to its failure. Therefore we pray! * bind and restrain all evil forces that would seek to sow chaos and sustain repression where God seeks to sow peace and deliver liberty. * take and use North Korean leader, Kim Jong-un, US President, Donald Trump and South Korean President, Moon Jae-in, as his instruments, for his purpose, in answer to the prayers of many. 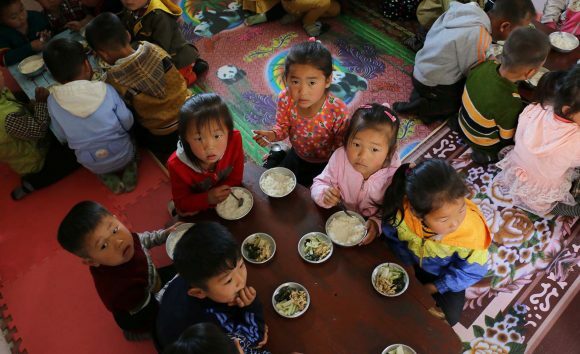 * sustain and richly bless the long-suffering and severely persecuted remnant Church in North Korea. May religious freedom be realised. May the Church's days of suffering soon be over. May the Church be free to serve NK's 'harassed and helpless' and bring Gospel light to those in darkness. 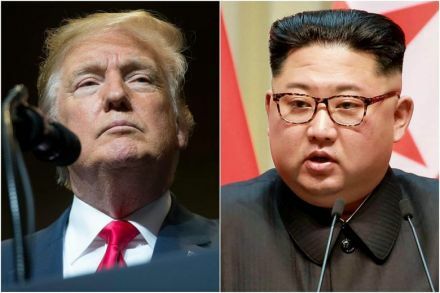 US President Donald Trump and North Korean leader Kim Jong-un are due to meet in Singapore on Tuesday 12 June to take the first of many steps on what we hope will be the road to a brighter future. In North Korea, Kim Jong-un has replaced the state's top three military leaders with younger leaders more amenable to economic development and engagement with the world. However, peace on the Korean Peninsula is about far more than geopolitics; spiritual 'principalities and powers' are committed to its failure. East Asia is not merely one of the globe's most dynamic economic regions, but one of the world's most spiritually dynamic, mission-focused regions. Therefore we pray for the Lord's will to prevail and that peace and religious freedom will be realised on the Korean Peninsula. 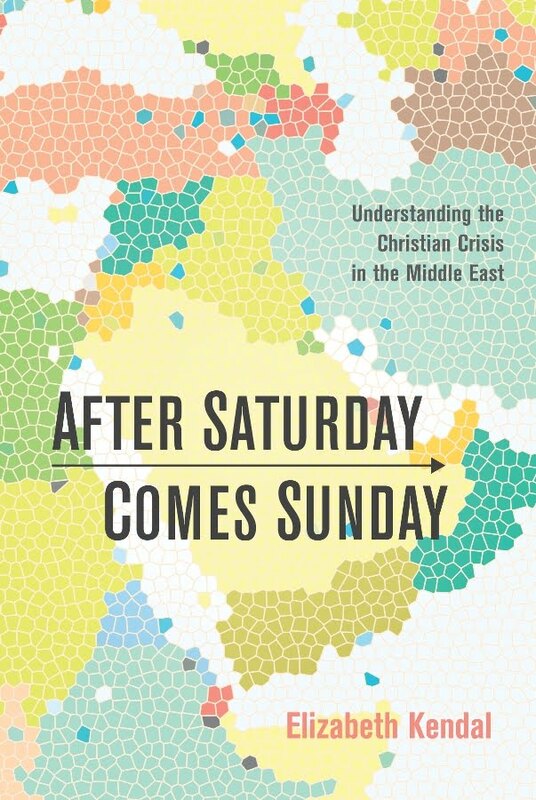 NOTE: Libya's denuclearisation and the West's subsequent betrayal of Muammar Gaddafi -- who was handed to his Islamist enemies and violently lynched -- is covered at length in After Saturday Comes Sunday: Understanding the Christian Crisis in the Middle East, pages 78-79, and chapter 6, 'The Arab Spring'. This is why North Korea will not denuclearise (see also, RLPB 423, North Korea: Talks the Only Option, 13 Sept 2017).